A thirty-year-old man from Ada, Oklahoma died earlier this month after a visit to a chiropractor. The man suffered a stroke while his neck(http://www.edwardslawok.com/tulsa-back-and-neck-accident-injury-lawyer.html) was being manipulated. The manipulation tore arteries in his neck, which caused a blood clot in his brain. His family says that the chiropractors office did not call 911 after he suffered the stroke. Instead, they called his father, and told him to come pick up his son. After spending several hours waiting in the emergency room, Youngblood was flown to Oklahoma City for emergency medical treatment, and later passed away. A statement from the Oklahoma Chiropractors Association expressed condolences, and warned that no medical treatment is without its risks. However, many in the medical community do not consider chiropractors to be medical practitioners, and warn that these treatments are dangerous, if not deadly. 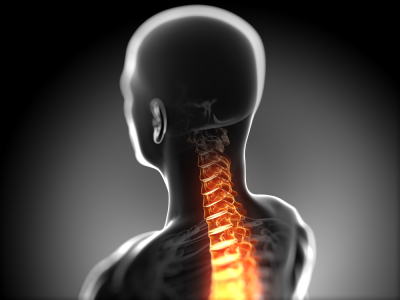 If you were injured by chiropractor contact an Tulsa personal injury attorney today for a free consultation. The President of the Oklahoma Board of Medical Licensure and Supervision, stated that when a chiropractor adjusts your neck, it puts stress on the vessels most likely to form clots and cause strokes. Calling the treatment snake oil medicine, the Dr. noted that these types of strokes are happening often to young, otherwise healthy people who should not have died. Medical studies proving the efficacy of chiropractic treatment are a mixed bag, at best. In a widely-cited 2010 study, the International Journal of Clinical Practice published a report that examined fatalities linked to dissection of the vertebral artery, causing death after chiropractic treatment. The conclusion of the study was that numerous deaths were linked to neck manipulations by chiropractors, and stated that the risks of this type of treatment far outweighed the benefits. Whether or not you believe that chiropractic treatments can be beneficial, it is clear that the treatments also have grave dangers.